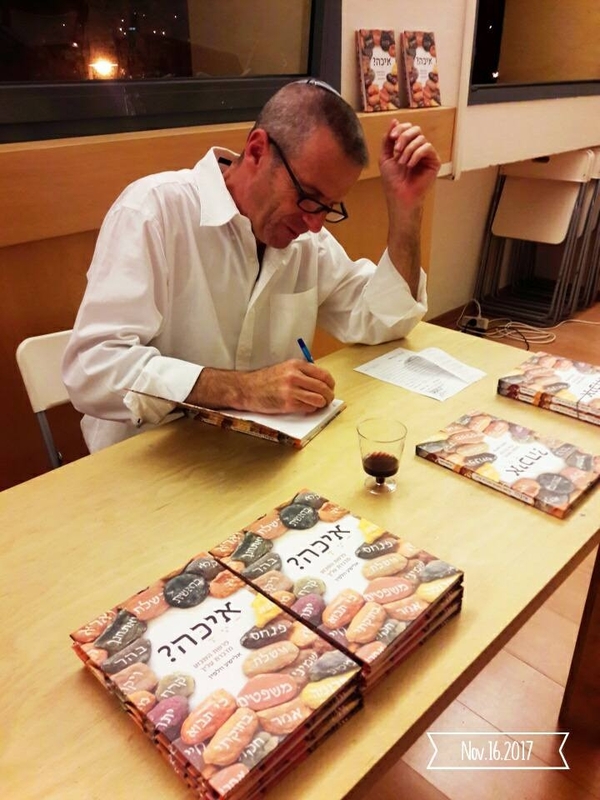 A long and winding road brought kibbutznik Elisha Wolfin to the pulpit of a Masorti kehilla (a Conservative community) in the heart of Israel’s wine country. But there were signposts along that road - one being Elisha’s strong sense of spirituality. Although non-observant as a young adult, he gravitated towards the healing arts. Trained as a group facilitator, he worked extensively in the field of spiritual counseling, working with bereaved families as a reserve officer in the IDF. Another obvious signpost is Elisha’s openness to diverse ideas and cultural traditions. After completing his undergraduate studies in Islamic, Arabic and Middle Eastern studies at Haifa University; these instincts, along with his love of Zionism, motivated him to take a job as a shaliach (representative) for Hillel, serving San Francisco State University and UC-Berkeley. Elisha was born and raised on Kibbutz Kfar Hanassi in the Upper Galilee, similar in climate and topography to the California Bay Area, which helped to make his transition a smooth one. As part of his professional responsibilities at Hillel, he made visits to Conservative synagogues and it was there he discovered a strong pull towards egalitarian and pluralistic Jewish practice. With a growing love and interest in Jewish tradition, he entered rabbinical school at the University of Judaism in Los Angeles. Eventually the pull of home precipitated a transfer to the Schechter Institute in Jerusalem, where Elisha earned his master’s in Judaic Studies and was ordained in 2001. Back in Israel, Elisha headed the TALI Schools Rabbinical Training Program and is presently educating and supervising a growing cadre of Tali Rabbis - a teacher’s teacher. His inventive and creative spirit attracted a following, and together with eight families he founded Kehillat Veahavta in 2003, in Zichron Yaakov, where he serves as Rabbi and spiritual leader. South of Haifa, overlooking the Mediterranean Sea, today the congregation numbers 250 member families, both native-born Israelis and olim (immigrants). Elisha’s hands-on approach to spiritual leadership inspires and engages all who meet him, and Kehillat Veahavta today is a vibrant congregation, bustling with activity on a daily basis. With 150 Bar and Bat Mitzvah families joining Veahavta every year, the synagogue has gained an important place in the social and religious fabric of Zichron Yaakov and its surrounding towns and Kibbutzim. Rabbi Elisha Wolfin lives in the Remez neighborhood of Zichron Yaakov, is married to Ronit and has an eleven year-old son, Yehonatan. Fifty-four of Rabbi Elisha's weekly drashot - insights into the Torah portion - have been compiled into a book called “Ayeka”, which has now been released in English! Click here to purchase Elisha's book on Kindle - 'Ayeka' in English!